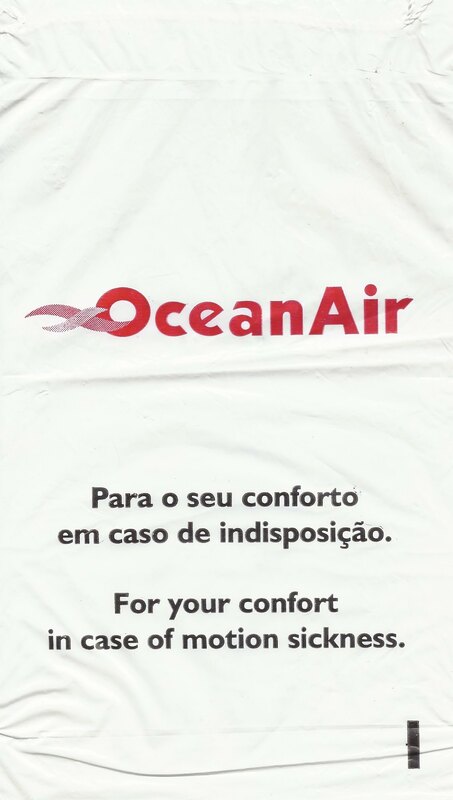 Ocean Air's team of English Translators use the Portuguese-like spelling of comfort as "confort". 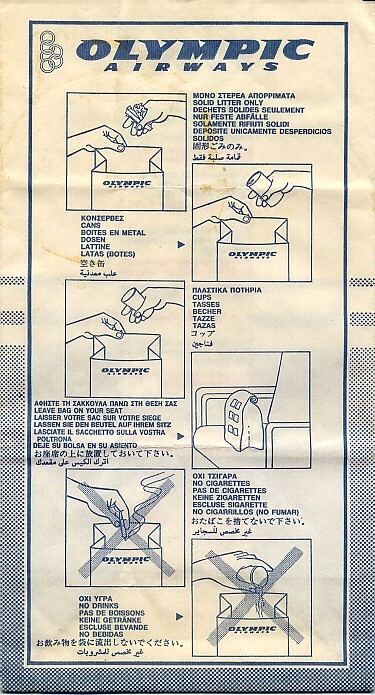 Later on another bag, they get it right and flip the instructions and airline name. 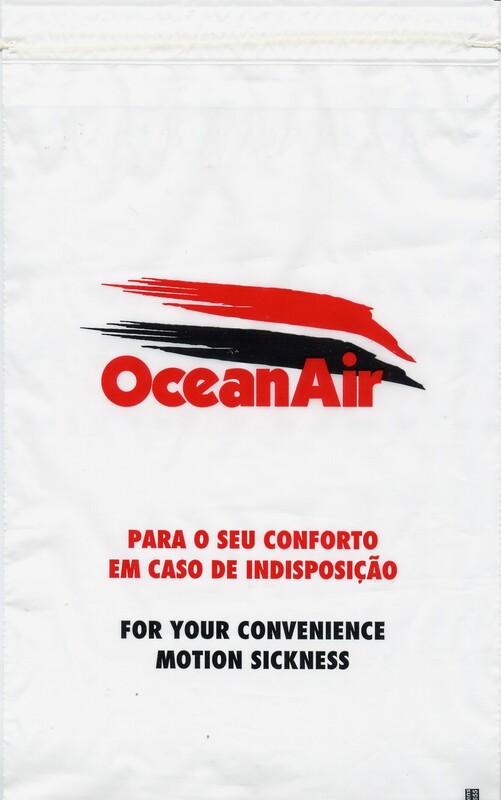 This bag is almost identical to the other Ocean Air bag except there's a black block on the front. 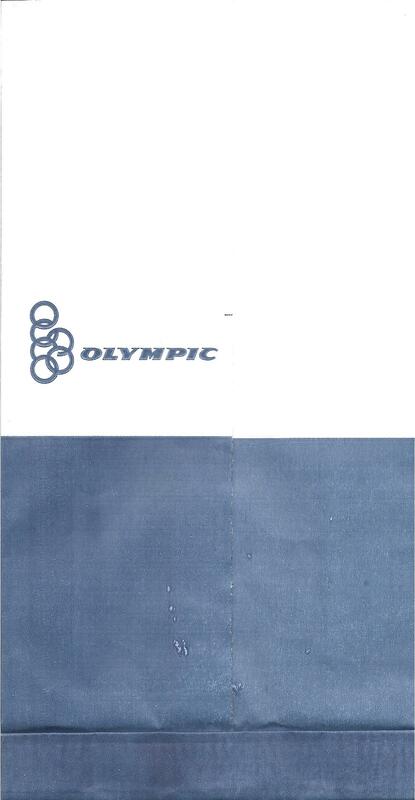 In 2007, long standing Olympic Airways in a bold move changes the name of the carrier to Olympic Airlines. 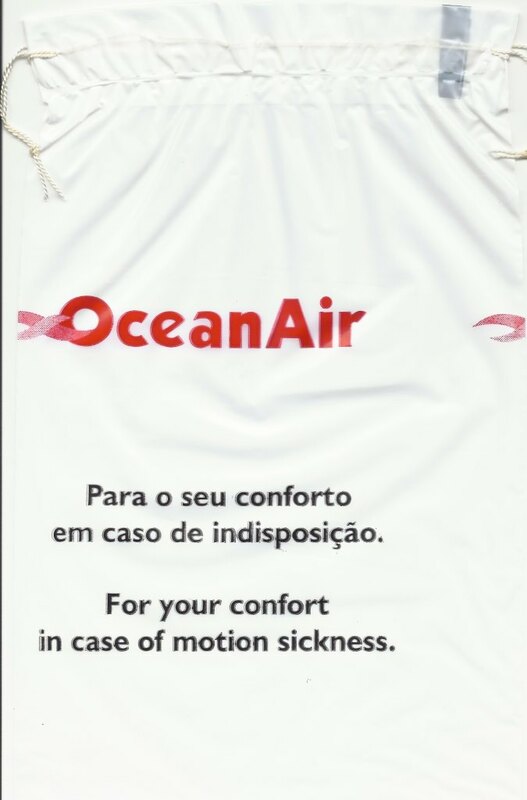 I can't imagine why they did this or if it somehow increases business for them, but the takeaway is that I get a new bag. Yay me. 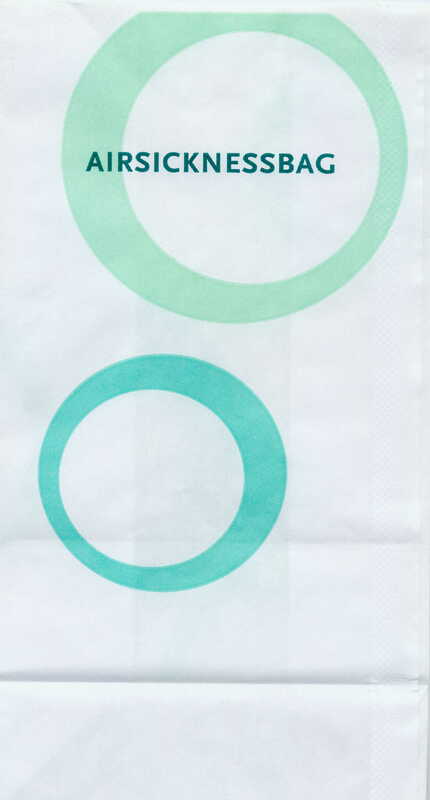 The busiest bag with the most extensive text of any bag. 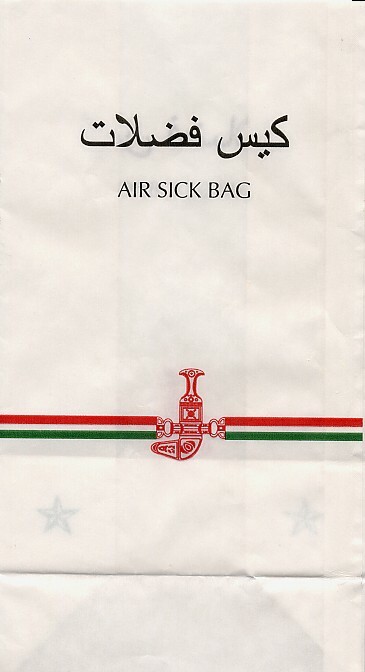 You could probably finish War & Peace in time it takes you to read this bag. And by the way, why does it take 2 words totalling 15 letters to translate the word 'cups' in Greek? 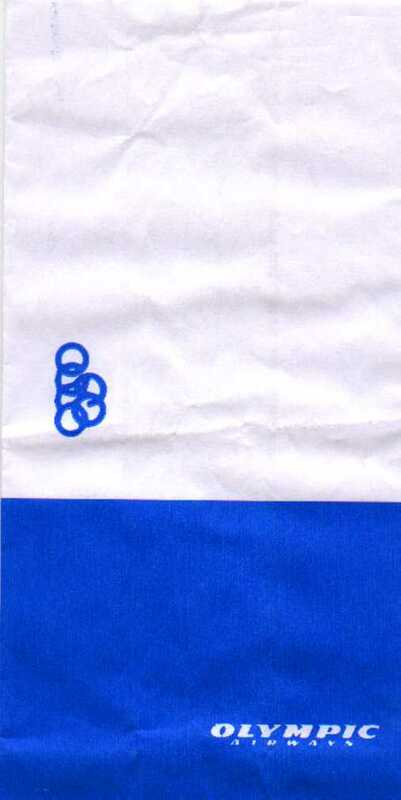 Hey, there are 6 Olympic rings on this bag instead of 5. Must be some legal thing. FLASH! 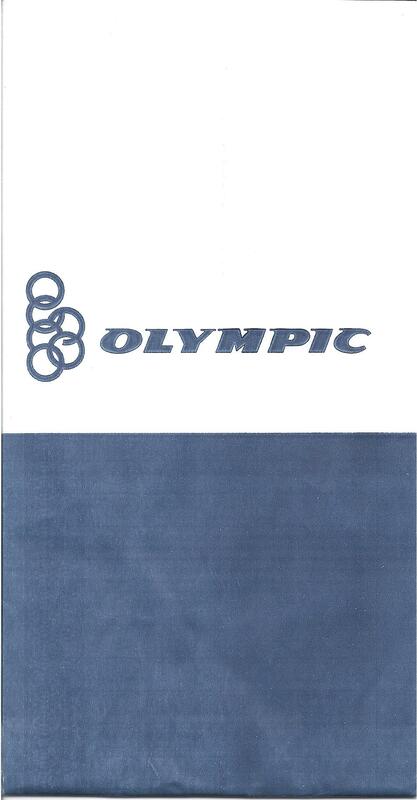 I have just been notified that, in the e-mailer's words: the reason is that "olympic airways" flies to 6 continents, whereas the 5 rings you are reffering to, are the ones of the olympic games, which represent the 5 (thus they're 5) human races. 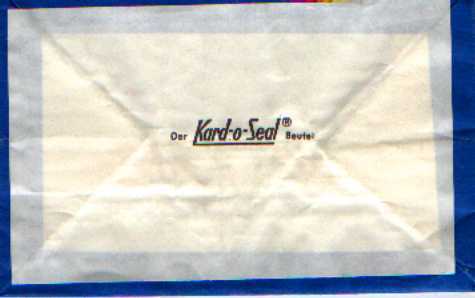 Still a Kard-O-Seal bottom, but this time it's the verbose Kard-O-Seal bottom. 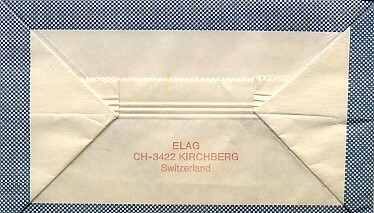 Front stays the same, but adds ELAG to the bottom. 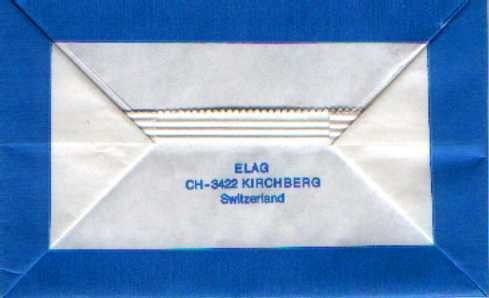 Made bag bigger and maybe got sick of ELAG because the bag no longer has a bottom! 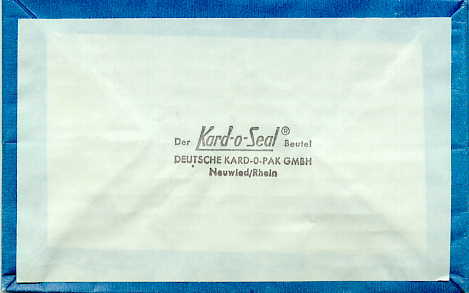 The gusset says Carl Fried, Müller AG. 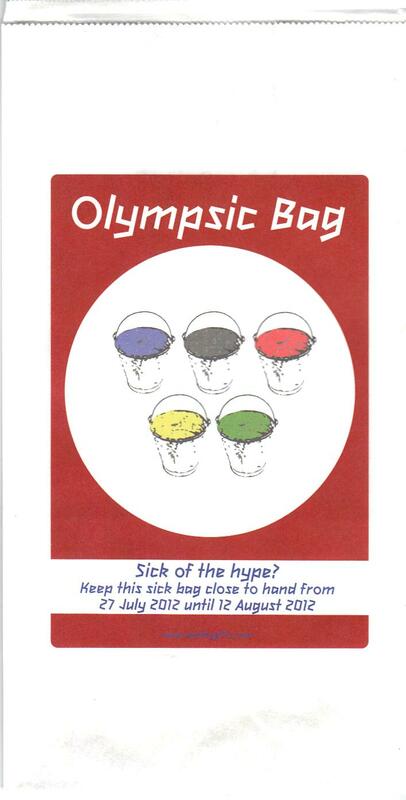 Wow, how egotistical does Carl Fried have to be in order put his name on the bag? 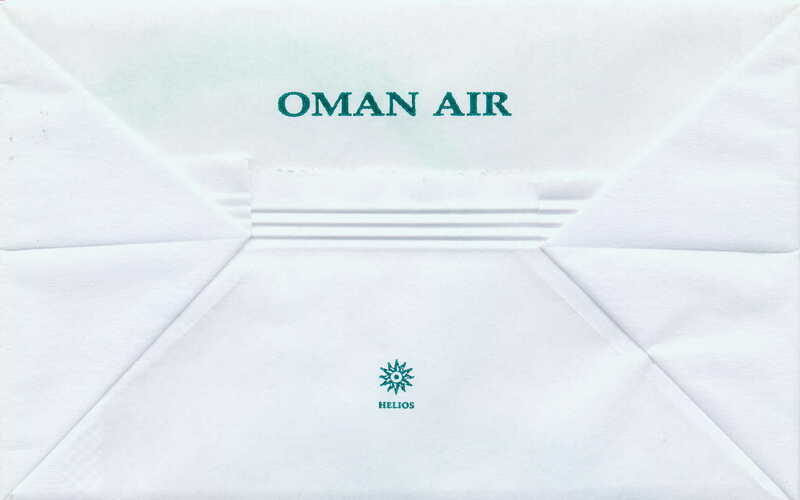 They got rid of the word "Airways" and super-sized the logo and airline name on the front, but chose the smaller, more demure size for the back. 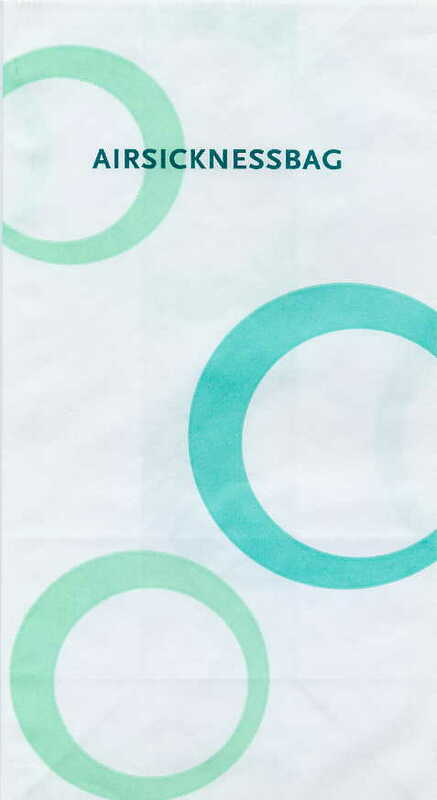 An unremarkable bag adorned with several shower curtain rings. 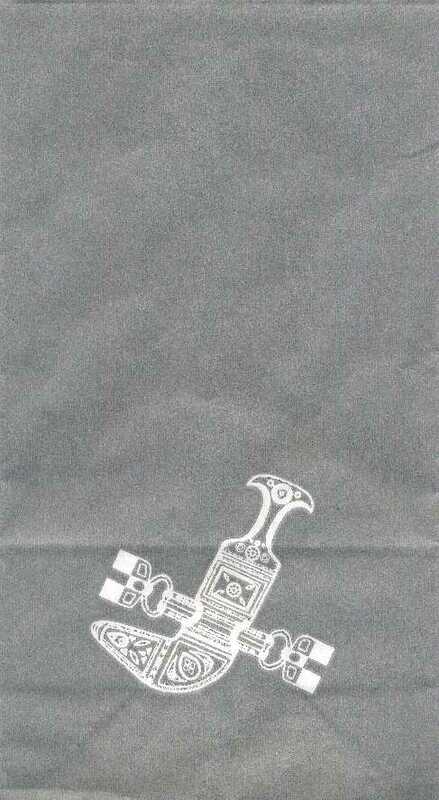 This is the only bag I've seen with a plumbing fixture on the front. 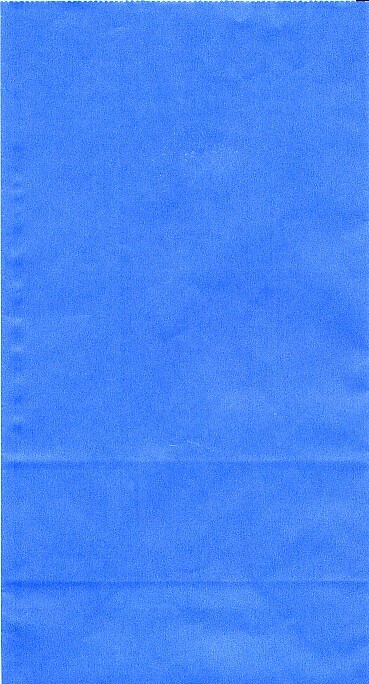 No explanation anywhere on the bag as to what its purpose might be. 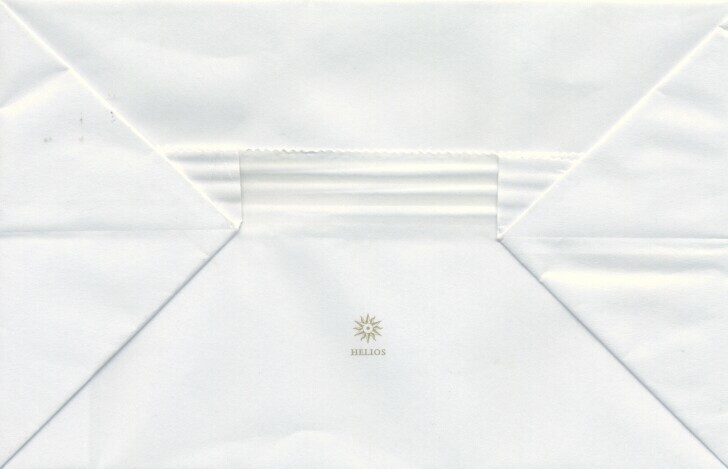 Also contains mysterious 'BASIC' sun glyphs in side folds (not shown). 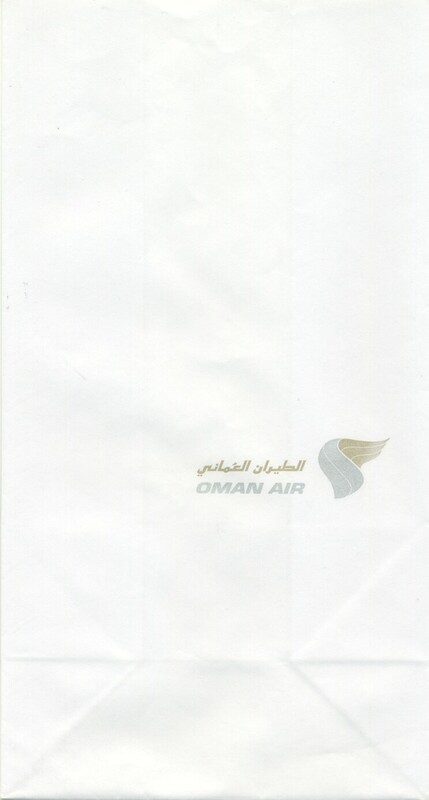 According to insightful visitor Ned Andre, "The 'plumbing fixture' on your Oman Aviation bags is actually a curved khanjar dagger, sheathed, which is the symbol of Oman." 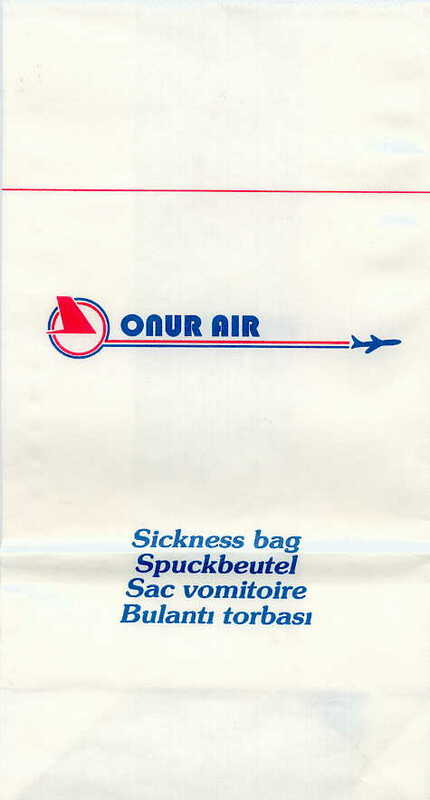 proving once again that the Air Sickness Bag Museum has the best and brightest visitors. 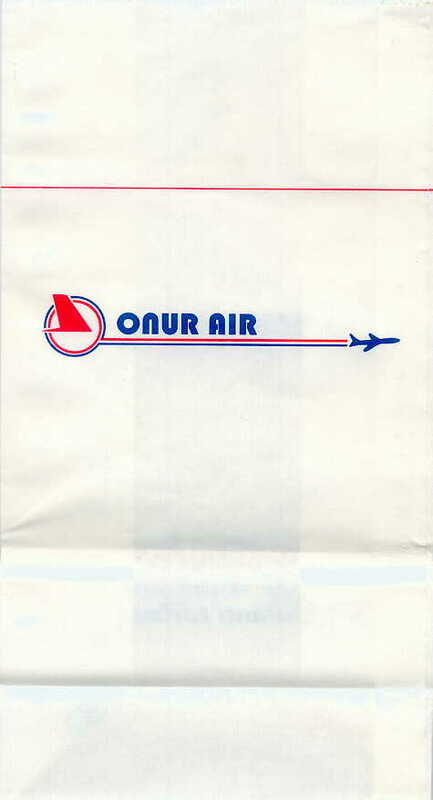 This bag looks exactly like the 1991 Swissair except the bottom which belies its Omanian (is that a word?) 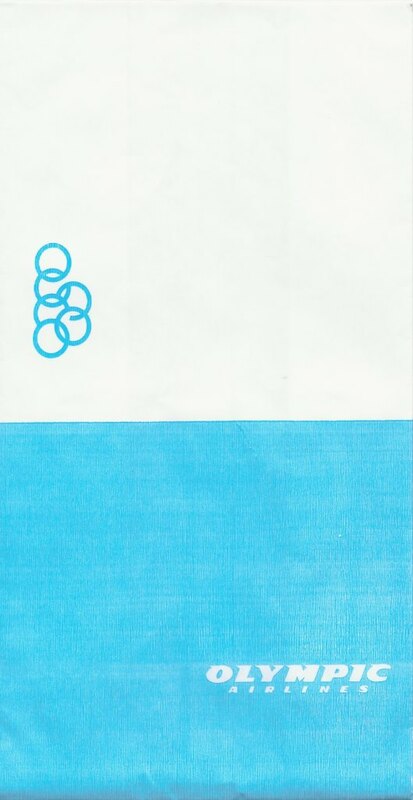 origin. 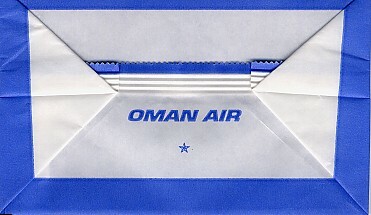 This year's Oman model shows the plumbing fixture (a khanjar daggar according to Ned Andre) wearing a seat belt that, by the color scheme, looks like it was made in Italy. All those rings are gone and we are left with silver and gold to class up the bag. 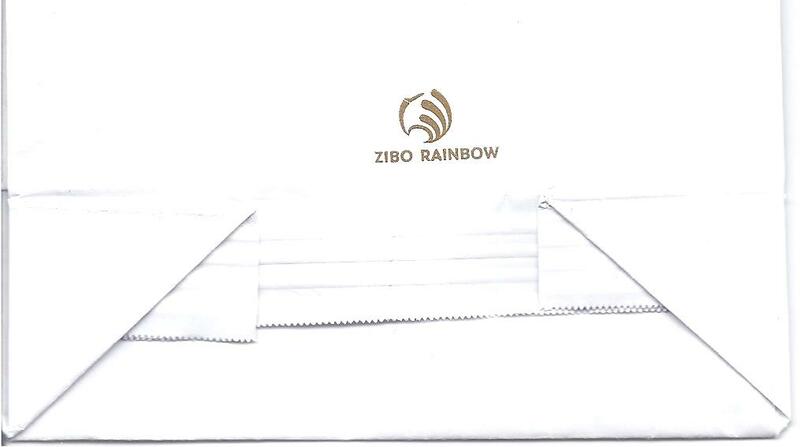 Pretty much identical to the 2010 bag but now the bottom says "ZIBO RAINBOW" instead of "HELIOS"
This year's winner of the TAP Air Portugal bag look alike contest. 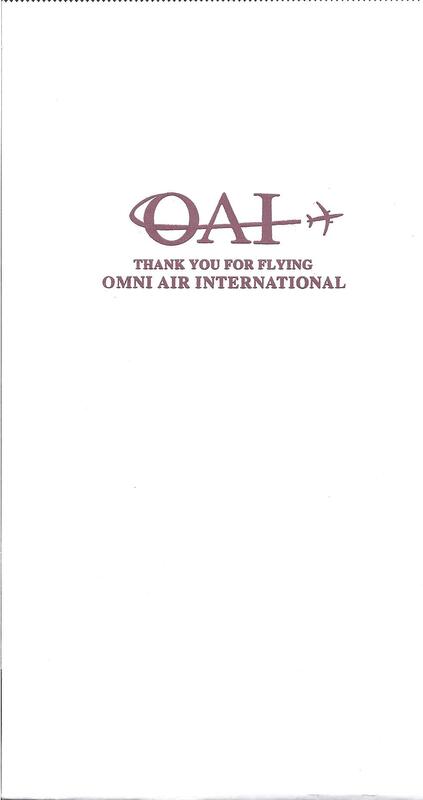 Actually, the Omni font looks eerily similar to the magazine of the same name. 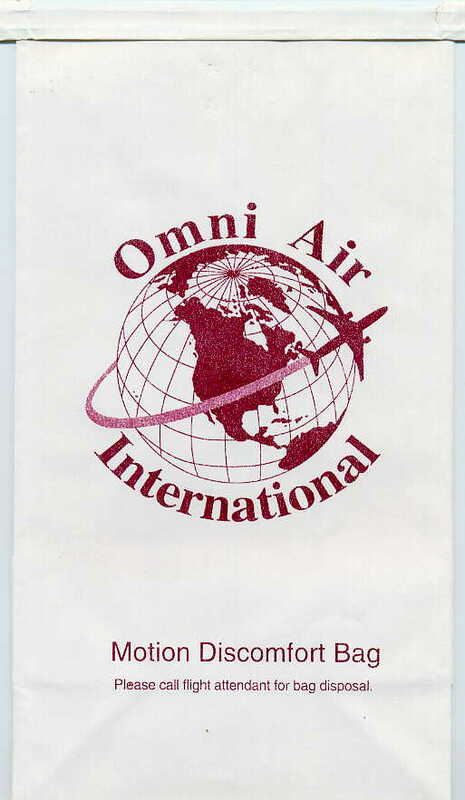 This bag features an excellent Unisphere-like globe being encircled by an airplane. 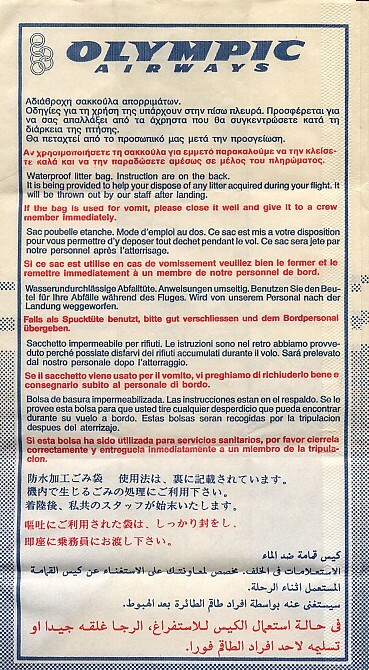 Although this is an American domestic charter airline, I had to obtain this bag in a swap with a collector from Germany. 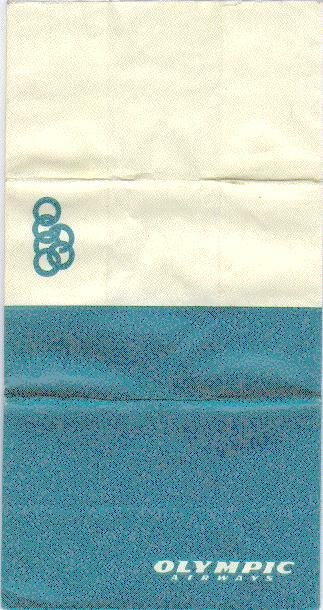 I need to get out more (as if it wasn't already obvious from me having this site). 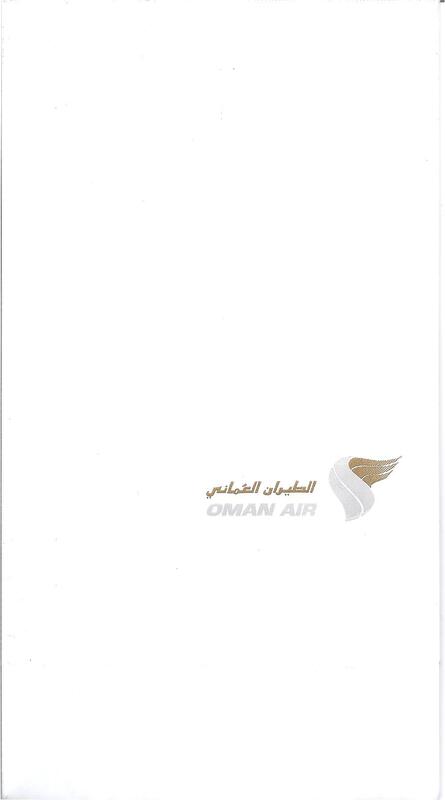 Interesting sun-dial logo so you can keep track of the hours as you fly.